With the holidays fast approaching, you’re probably making a list and checking it twice. The holiday season is synonymous with gift giving, and hopefully receiving too! In many cultures, gift-giving is an ingrained custom during the holidays. This sweet gesture has remained up until this day, and is sure to spark the feelings of love and appreciation towards one another. But what should you buy for gifts? It’s that time of the year once again when our homes take on a shiny and glimmering character! As soon as Halloween is over, many of us start planning what our home would look like this holiday season. Maybe go for the traditional red and green? Perhaps, you want to make it look crisp and clean with white and gold? How about following a theme: candy cane, elves or golden balls everywhere? 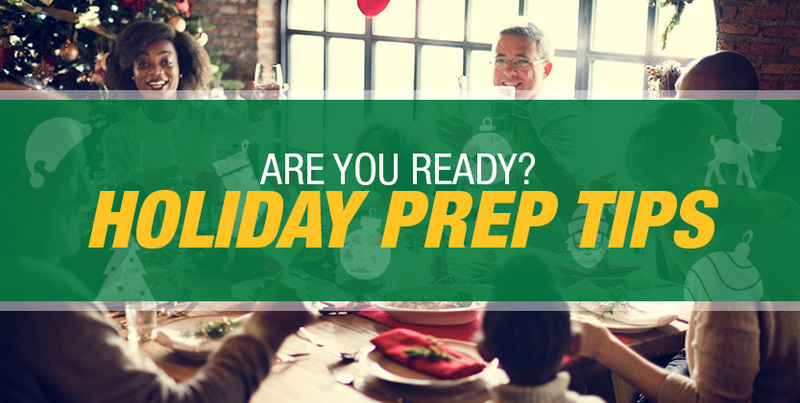 In between parties, gift shopping, and planning your meals, the holidays are the busiest time of the year. The kids get to play outside in the cold. Dads are busy putting up lights and setting up thee tree. Moms might spend more time in the kitchen, whipping up delicious gingerbread cookies, brewing hot chocolate, and preparing the family’s holiday favorites. Certainly, these are events that most families don’t get to do on a daily basis. But the holidays, well, they’re an exception. In a world where we need an income to survive, it is only essential and right to protect our job or business to keep our earnings rolling in. You want to take control of your income in such a way that it becomes adequate, if not more than enough, to cover and sustain your living expenses. Owning a property is an important part of living the American Dream. This is one, if not the biggest expense you’ll ever make and it’s rewarding to finally have a house that you can call your own, but don’t forget, home ownership is a huge commitment. Remember the time last year when you were making New Year’s Resolutions? You probably wanted to shed some pounds, re-organize your routine, or take up new hobbies. You may have also thought about making (or saving) more money and jotted down a financial goal or two. Credit has become the most popular payment method. You can buy nearly anything like homes and cars to menial daily things like your morning coffee or lunch. Putting it on tab has become such a common practice that many people don’t even think twice and it’s a habit that’s really hard to shake. We probably could all agree that traveling is both an adventure and therapy. It feels great to explore new places, meet new people, and have new experiences. But a trip, especially a leisurely one at that, can prove to be financially stressful too. We’re human. We make mistakes. We make tons of them on a daily basis, but when we ignore our mistakes and don’t try to correct them, we develop habits that could end up hurting us in the long run. When it comes to money, sometimes we learn the hard, costly way. What do you think about doing when you’re finally done with with your career? You’ll have more time on your hands to pursue something meaningful like a passion project you’ve always wanted to do or you could go traveling multiple times a year. Maybe spend most of your days gardening, writing, or visiting family?